Presented by Jonathan Chapman | JCP in partnership with The Great Northern Festival. 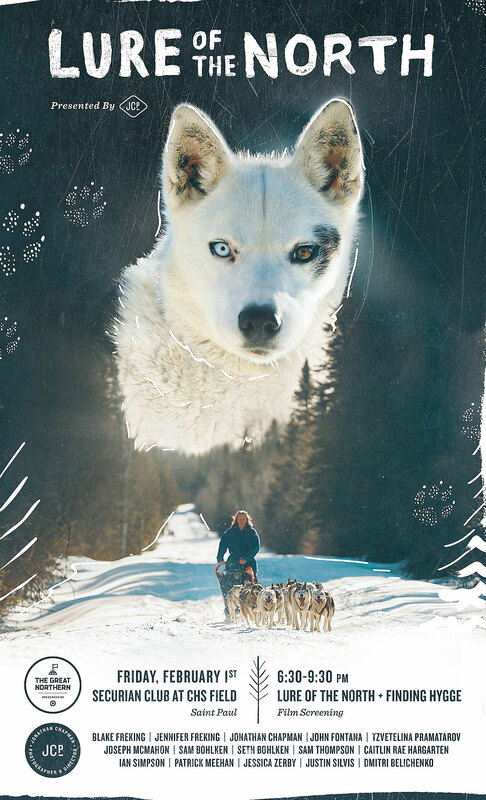 A short film highlighting the passion and intrigue surrounding the winter sport of dog sledding. The film profiles Blake and Jennifer Freking, a musher family from Finland, Minnesota who care for 60+ purebred Siberian Huskies. With over 20 years of working with the breed, they have each competed in numerous long distance dog sled races such as the Iditarod, Yukon Quest, and John Beargrease Marathon. The film explores the challenges of living and raising a family off-grid in the snowiest region of Minnesota and captures the Frekings’ devotion to the sport, spirit of adventure, and commitment to the well being of their huskies.